WEST VILLAGE: Gov. 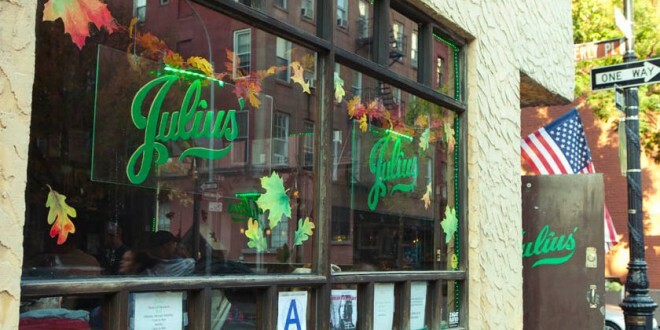 Cuomo Recommends Adding Julius' Bar To National Registry Of Historic Places - Joe.My.God. The Mattachines then challenged the liquor rule in court and the courts ruled that gays had a right to peacefully assemble, which undercut the previous SLA contention that the presence of gay clientele automatically was grounds for charges of operating a “disorderly” premises. With this right established a new era of licensed, legally operating gay bars began. The bar now holds a monthly party called Mattachine. NOTE: As you can see, Julius’ is spelled in the possessive, but I’ve never heard anybody pronounce it that way. It’s a great dive bar.